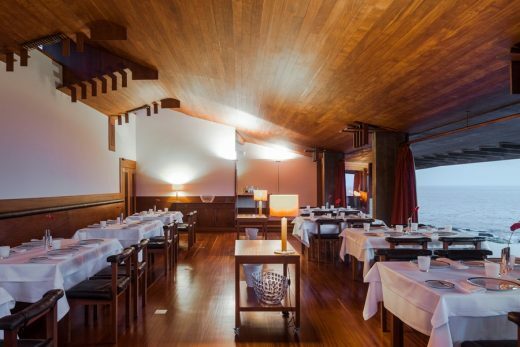 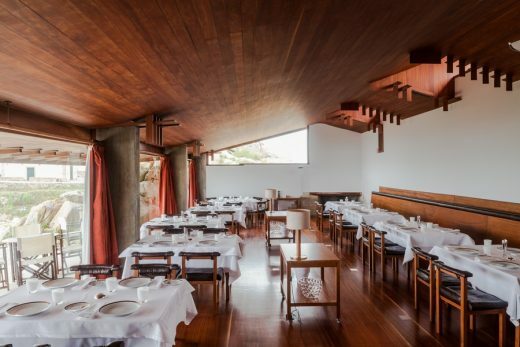 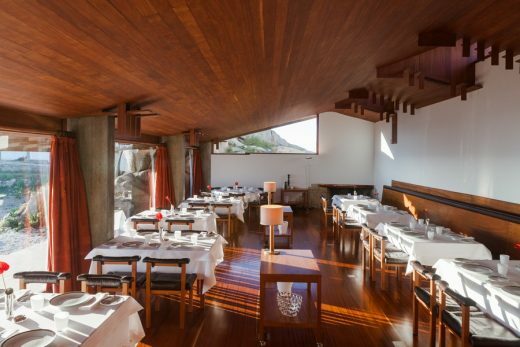 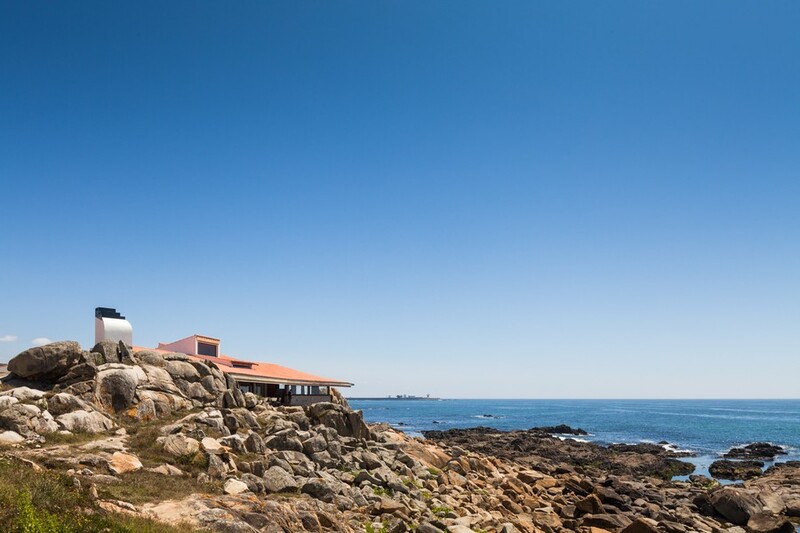 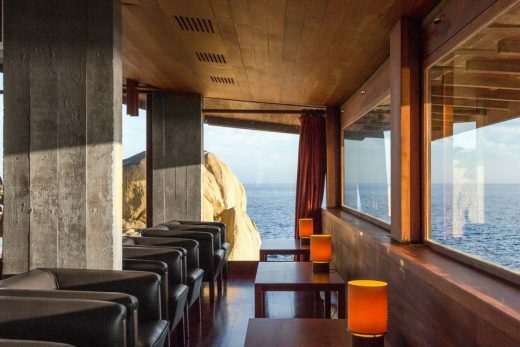 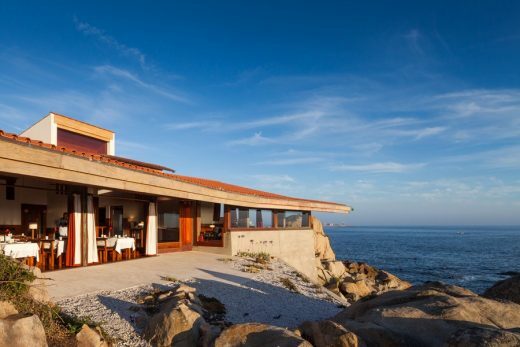 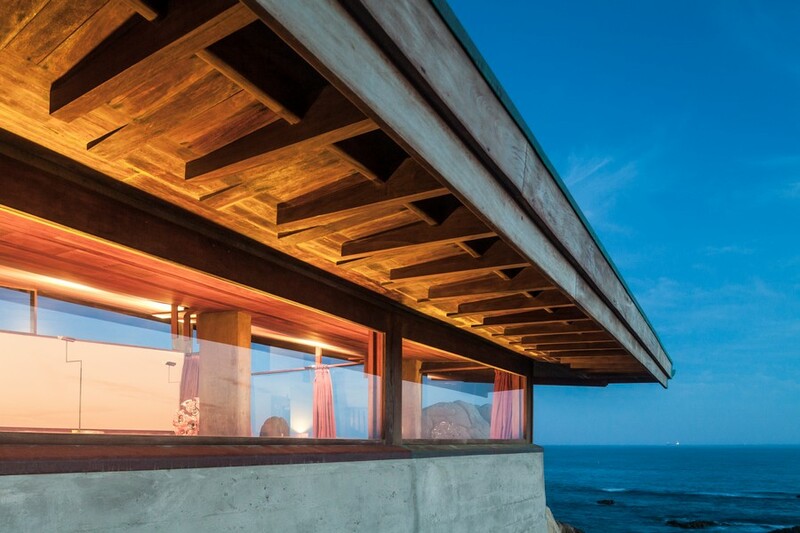 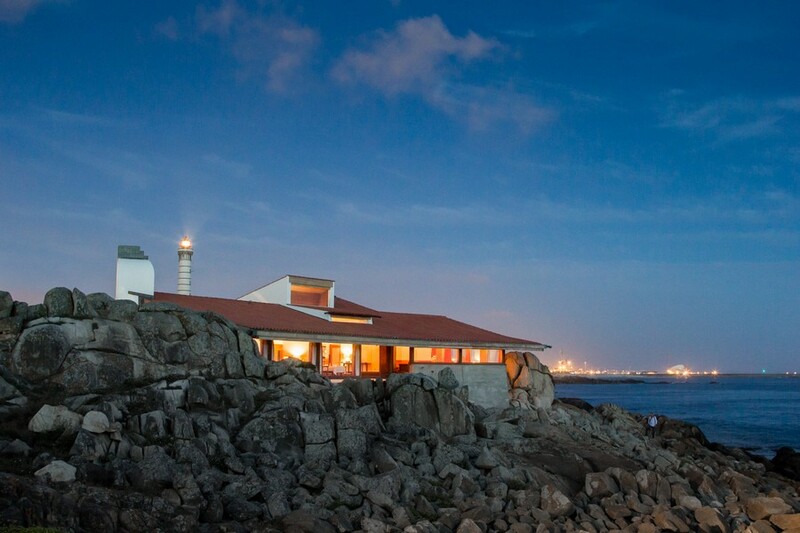 Álvaro Siza’s restoration of his first building, the Boa Nova Restaurant and Teahouse, nears completion five decades after it opened in 1963. 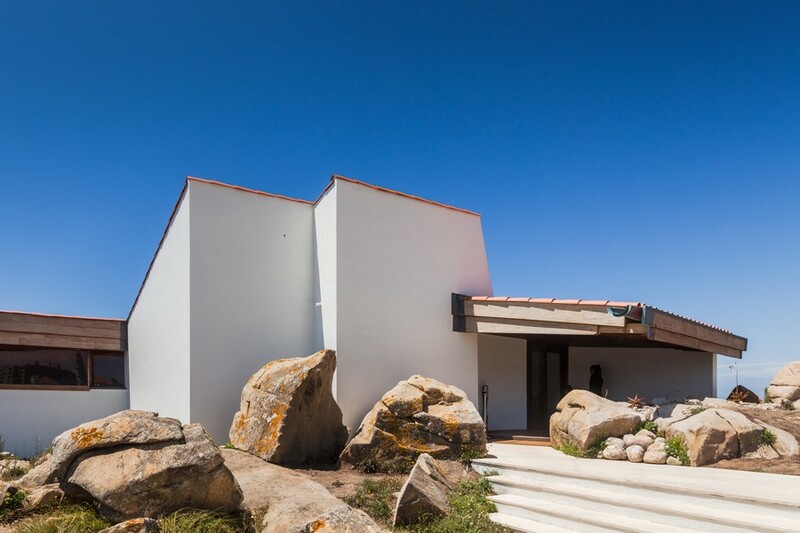 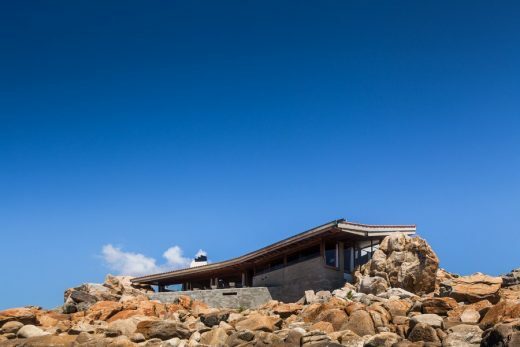 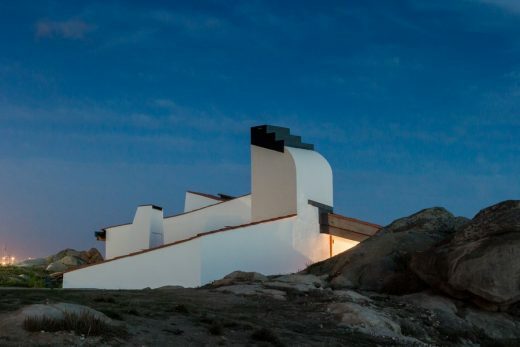 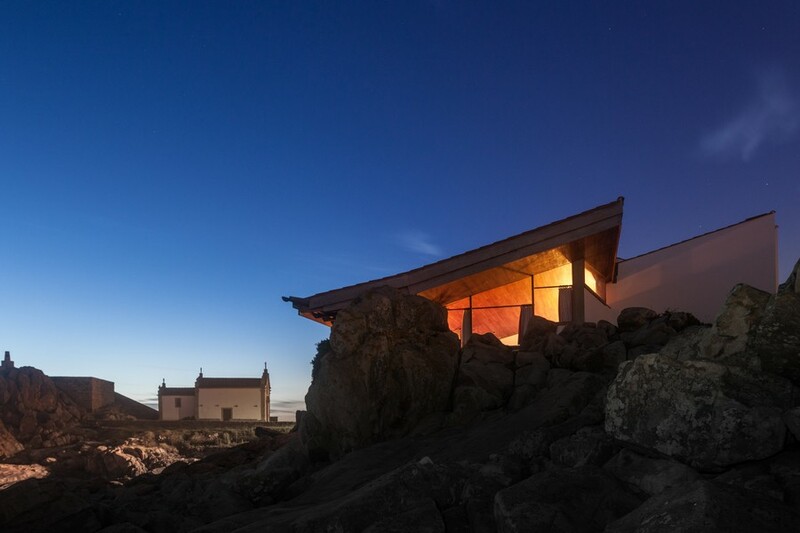 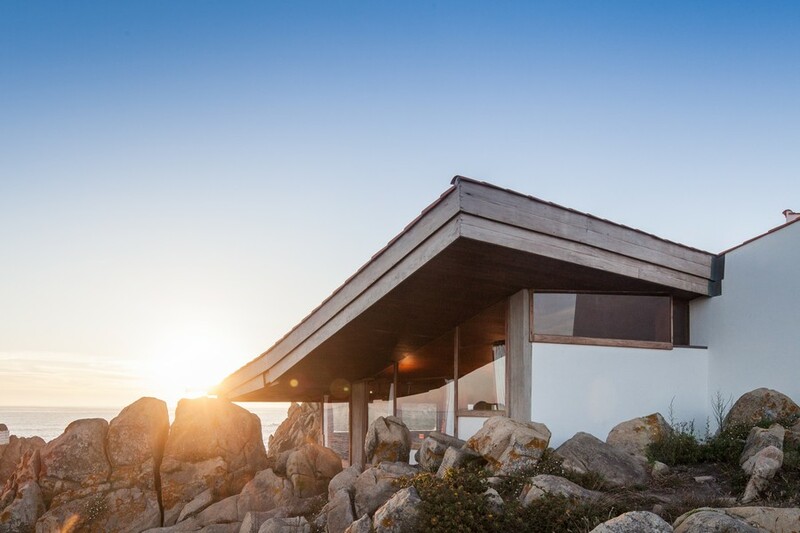 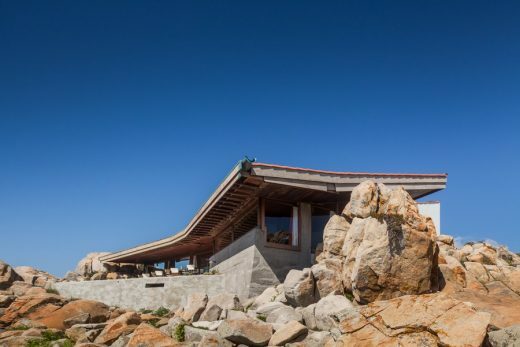 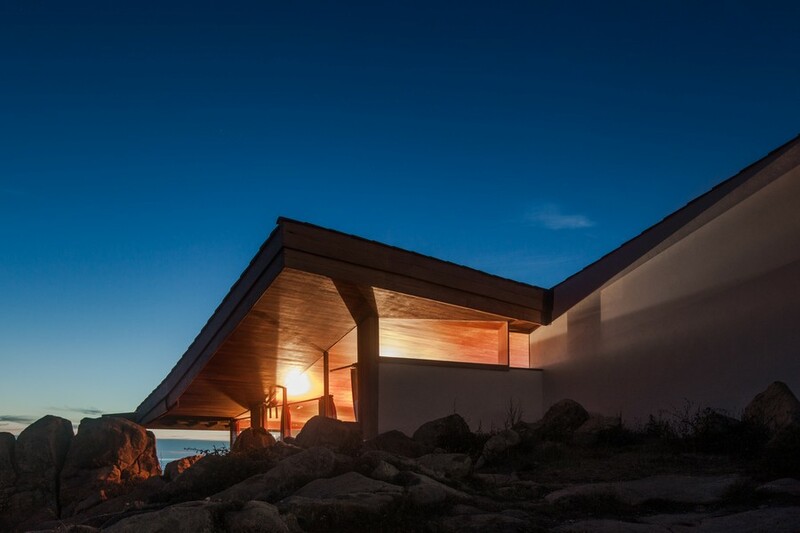 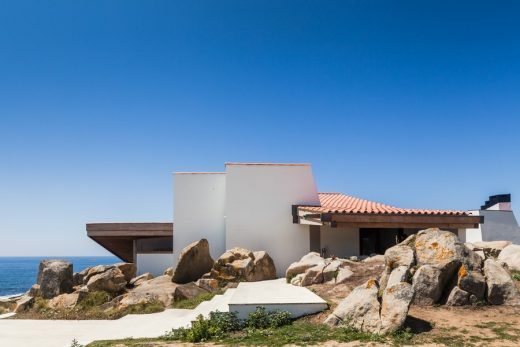 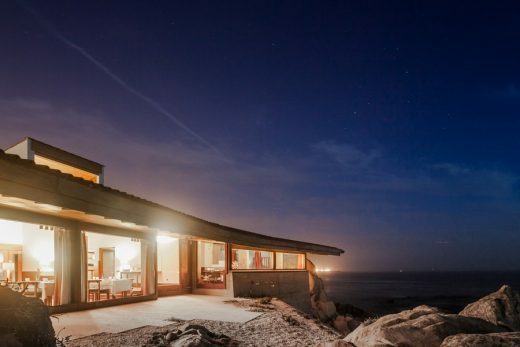 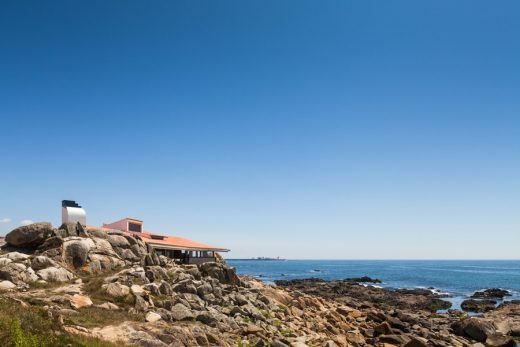 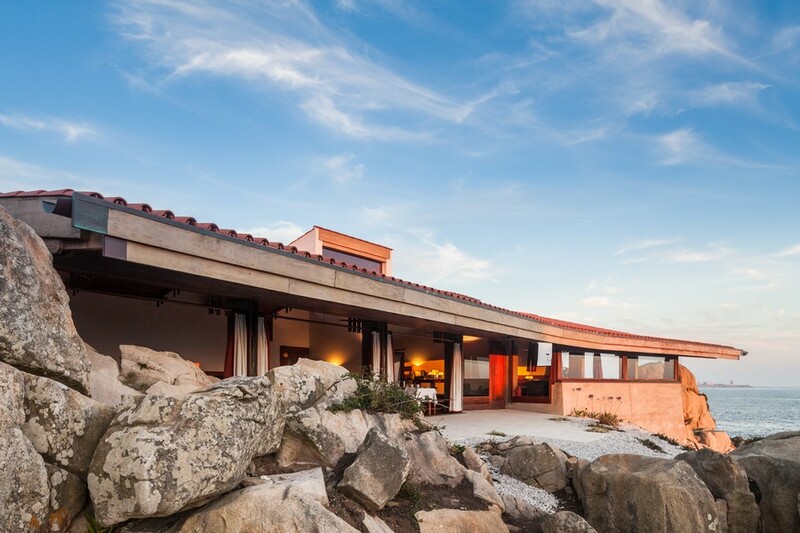 The casual pavilion, snuggled into a rocky promontory on Portugal’s Atlantic coast, in the town of Leça da Palmeira, 6 miles north of Porto, was left empty by its municipal owners in 2011 and vandalized by thieves, who ripped out copper gutters and wiring for salvage, destroyed the roof and interiors, and left the structure open to the elements. 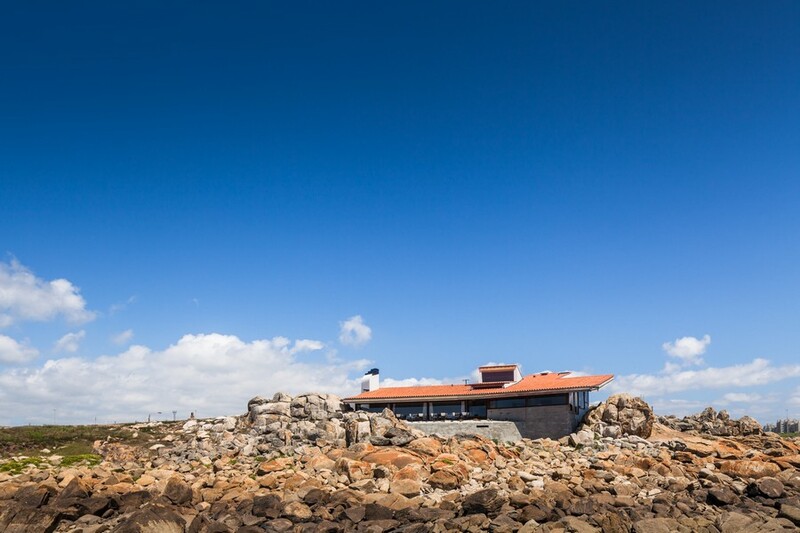 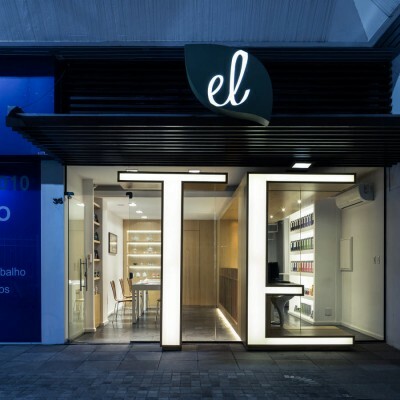 The Boa Nova Tea House was designed following a competition held in 1956 by the city council and won by Portuguese architect Fernando Tavora. After choosing a site on the cliffs of the Matosinhos seashore, Tavora turned the project over to his collaborator, Alvaro Siza. One of Siza’s first built projects, it is significant that the restaurant is not far from the town of Matosinhos where the architect grew up, and set in a landscape that he was intimately familiar with. 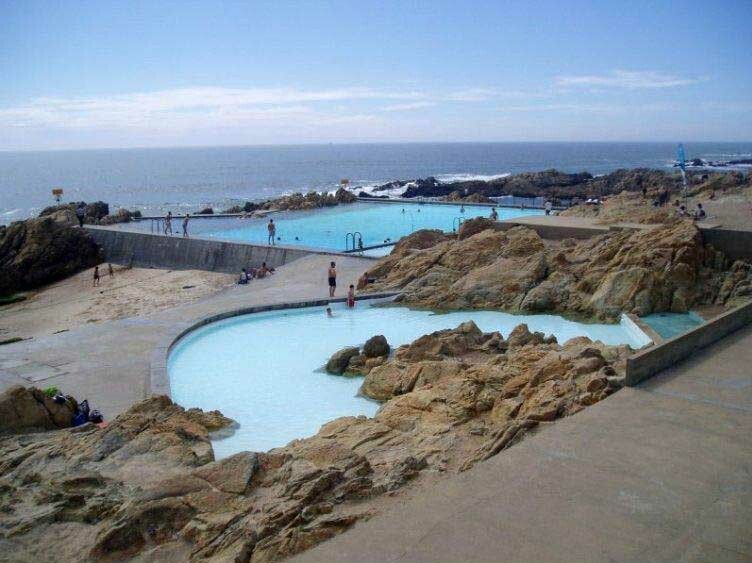 It was still possible in Portugal of the 1960s to make architecture by working in close contact with the site, and this work, much like the Leça Swimming Pools of 1966, is about ‘building the landscape’ of this marginal zone on the Atlantic – through a careful analysis of the weather and tides, existing plant life and rock formations, and the relationship to the avenue and city behind. The restaurant’s west-facing dining room and south room are set just above the rocks, and joined by a double-height atrium and stair, with the entrance being on a higher level. 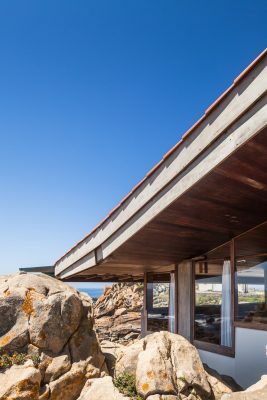 The kitchen, storage and employee areas are half-sunken in the back of the building, marked only by a narrow window and a mast-like chimney clad in tiles. 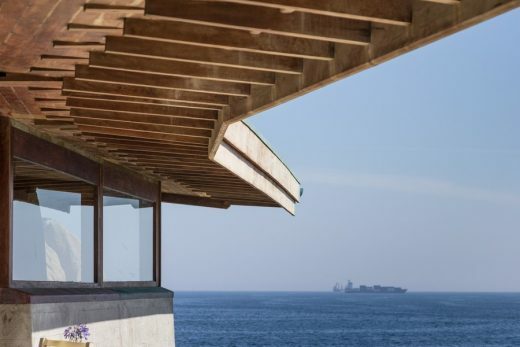 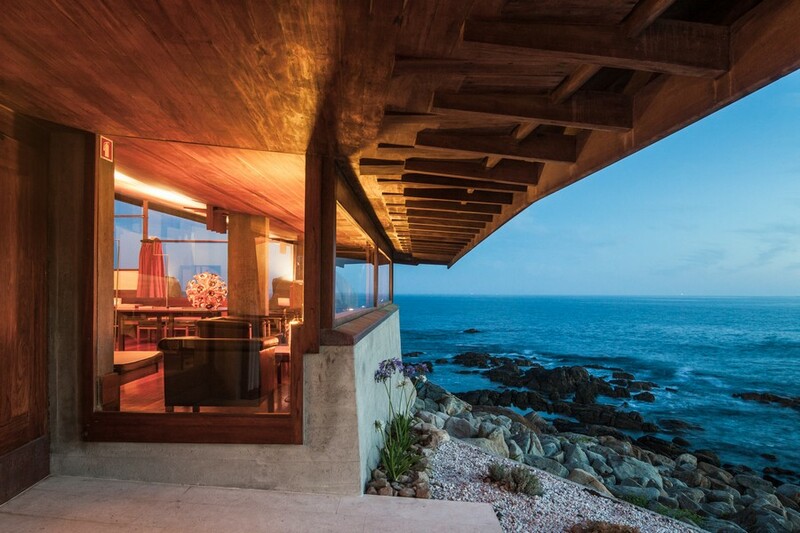 Forming a butterfly in plan, the two primary spaces open gently around the sea cove, their exterior walls following the natural topography of the site. 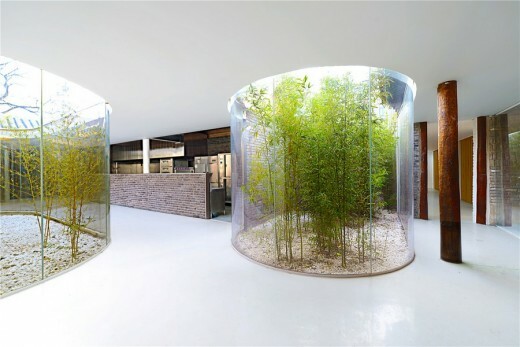 The tea room has large windows above an exposed concrete base, while the dining room is fully glassed, leading to an outdoor plateau. 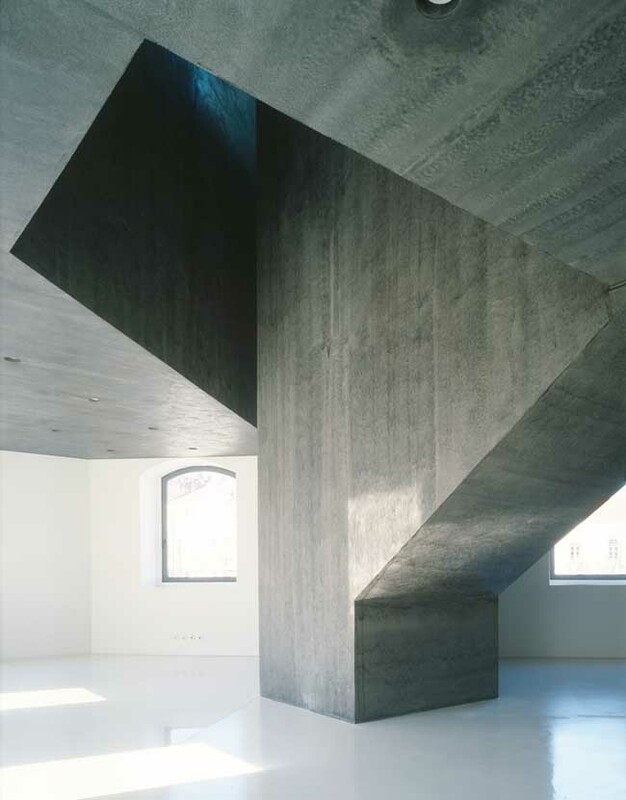 In both rooms, the window frames can slide down beneath the floor, leaving the long projecting roof eaves in continuum with the ceiling. 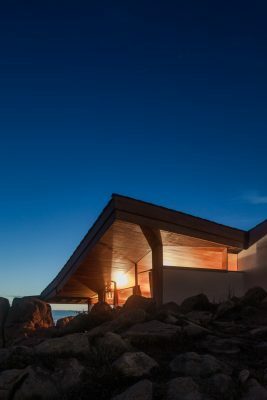 This creates an amazing effect in the summer, when it is possible to walk out from the dining room directly to the sea, as the building seems to disappear. The Boa Nova is now fully restored, with all of its original characteristics being preserved. It was possible to recover the roof, interior and exterior woods, the windows and doors frames and also the exposed concrete. 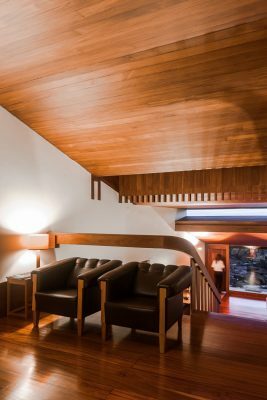 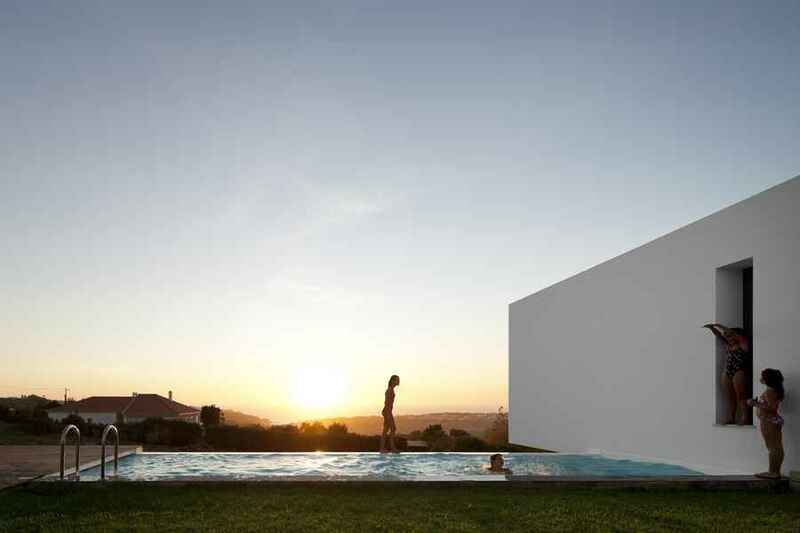 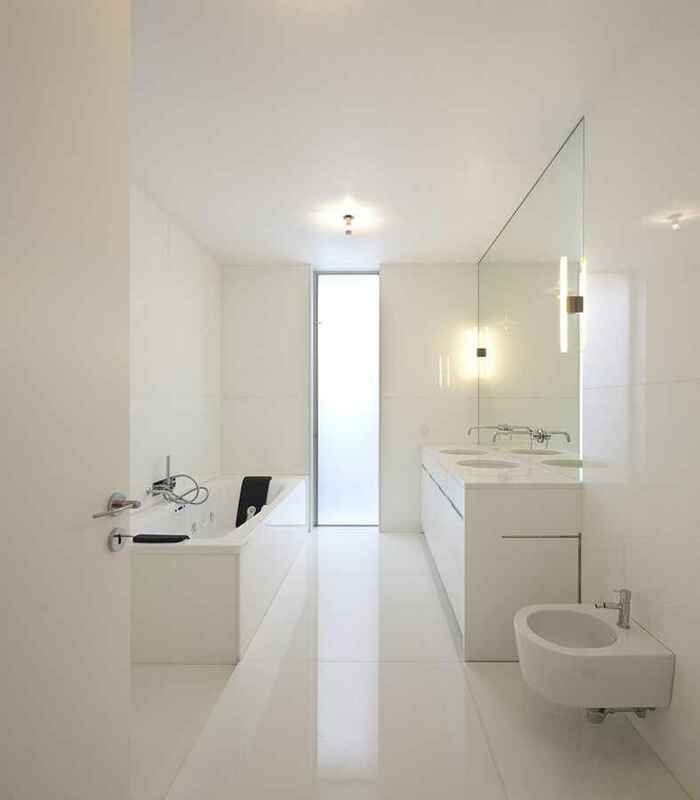 Even the original furniture designed by Álvaro Siza was reproduced according to the original designes of the time and using the materials originally planned. 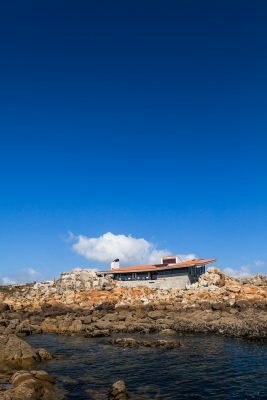 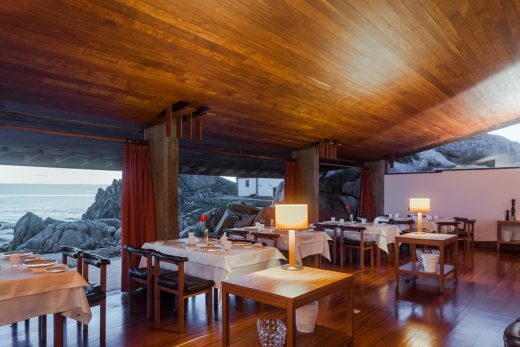 The renovated Boa Nova Tea House will open in July as a restaurant led by the renowned Chef Rui Paula.